Enjoy the reward of Kamado-style grilling with minimal investment. Experience fuel efficiency, high temperature cooking as well as superior low and slow capability. Your food never tasted so good. Our Steel Kamado Grill gives you an enjoyable bbq experience! With Easy Dump Ash Pan, Adjustable Dampers, Cast Iron Cooking Grates, Removable Warming Rack, Triple Wall Steel, Folding Side Shelves, Large 8" Locking Caster Wheels. This Grill just fits your market so good. Hope everyone enjoy the world of culinary possibilities using our Outdoor BBQ Grill! Product size: W49.43" x D29.24" x H47.57"
Looking for ideal Kamado BBQ With Tables Manufacturer & supplier ? We have a wide selection at great prices to help you get creative. 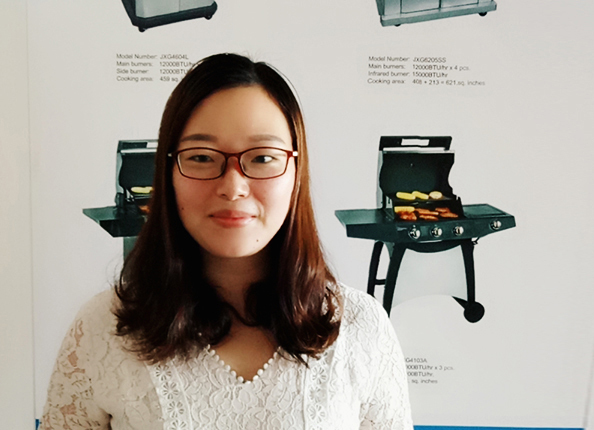 All the Round Egg BBQ are quality guaranteed. We are China Origin Factory of Kamado Style Kettle Grill. If you have any question, please feel free to contact us.